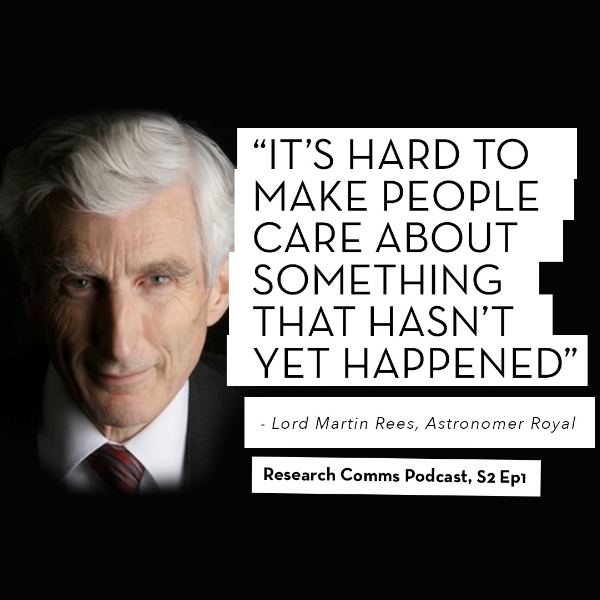 Martin Rees has become one of our most revered living scientists thanks to his decades-long work as an astronomer, looking out into the cosmos to try to unravel some of the deepest mysteries of the universe. But in recent years his gaze has returned to more earthly matters, to try to understand what is happening inside our own atmosphere, to us as humans, and to the earth that we inhabit. His book, ‘On the Future: Prospects for Humanity,’ is Rees’s latest attempt to address what he sees as the gravest threats we face, such as climate change and bioterrorism. If you’re looking for some light relief to distract you from the endless churn of dismal news we’re subjected to at the moment then this book might not be the answer! But if you’re up for reflections on the future of humanity from one of the sharpest scientific minds we have, then this is the one for you. In the book you talk about the Cold War period and how close we came to all-out nuclear war and that you were involved as a student, going on vigils, going on protests calling for nuclear disarmament. 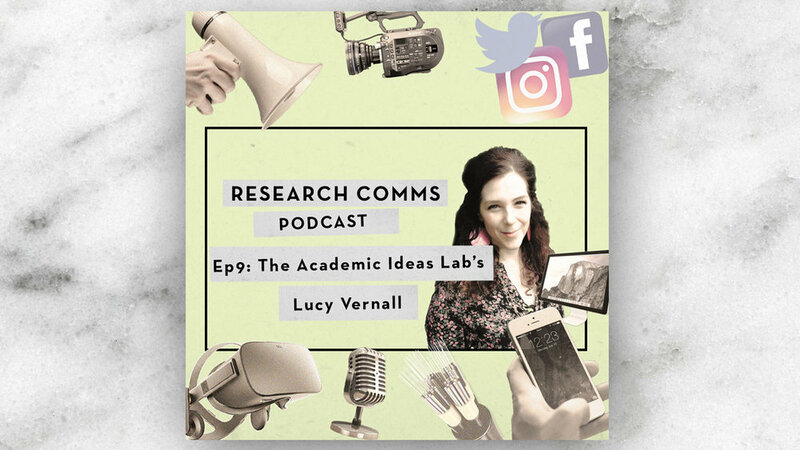 How formative was that period for you, in terms of realising the responsibility of scientists to communicate their research and engage the public with emerging technologies that will have an impact on their lives? Well of course that was a big issue at the time, when we realised that the scientists had created something during World War Two that did really change the world and that was my first realisation about the impact of science. And I was lucky in the seventies and eighties to get to know some of the great men who had worked in World War Two at Los Alamos and who had then returned to civilian life but had felt committed to trying to control the powers that they had helped unleash, by campaigning for arms control; people like Joe Rotblat, Hans Bethe and so on, I had the privilege of knowing them in their later years and I admired them very much. And the first aspect of science policy I got involved with was, indeed, arms control. 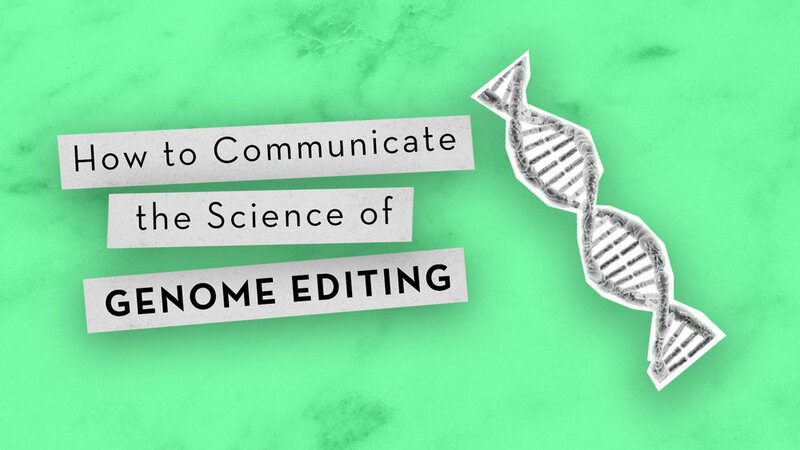 I went to the Pugwash Conferences and so on but that led me to realise that there are now more and more areas of science which have a huge possible impact, most obviously molecular biology and genetics. 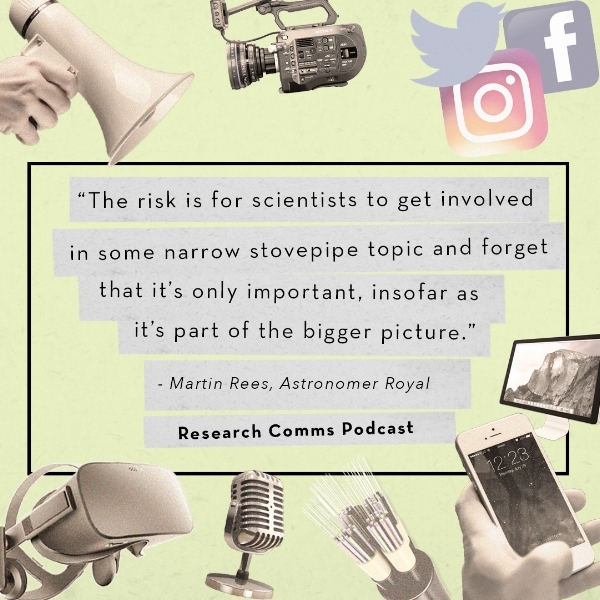 How have the public tended to respond to you in your role as an astronomer? Astronomy is a science which is fortunate in many ways. First, it's got a positive and non-threatening public image. People are ambivalent about nuclear power or genetics but I think if you talk about astronomy or evolution people are positive about those two things and that's a plus. And also the public is fascinated by astronomy. If you say you're an astronomer you’ll always get some interesting conversations going with many people in the way you wouldn't get with other sciences, and so it's a subject where there is a great demand for communication at the general level. And throughout my career I've tried to see it as part of my role to meet that demand and I found it a plus because, not only does it widen your impact and your range of contacts, but I think it's more satisfying if you can talk about your work not just to a few colleagues (you need them of course for the details) but if there's a wider range of people who are interested in what you're doing. That's a stimulus and also it's important because the occupational risk of scientists is to get involved in some narrow stovepipe topic and forget that it's only important insofar as it's part of a big picture, and the people in the general public, they ask the big questions. What turned your attention from the cosmos to more earthly concerns about the risks that humanity faces? I hope I've always been a concerned citizen in many respects and in politics but what happened really was that I had opportunities to get more involved in politics and policy, particularly when I served for five years as president of the Royal Society, which is the Academy of Sciences for the Commonwealth but has a remit to cover all of science and its policy implications, so that gave me both the motive and an opportunity to get somewhat better informed about a whole range of scientific areas that I was not an expert. And then I became a member of the House of Lords which further gave me an opportunity. So, I think the way my career developed, I continued to see myself as a researcher but I've spent a lot of time in these these areas, exploring broader policy questions and that's why I've been led to give many lectures and write articles and write a book and indeed, as you mentioned, to involve setting up a sort of policy centre (the Centre for the Study of Existential Risk) which focuses on these big risks, which may be of low probability but would be of very high consequence. As regards the things that I worry about, which I address in the new book, there are really two concerns, and they both reflect the fact that as an astronomer I’m very aware of the fact that, even though the earth has existed for forty-five million centuries, this century is the first when one species, namely the human species, has the power to affect the entire planet. And there are two ways in which this can happen. One is the collective effects of humanity because there are more of us; the population is seven and a half billion and will rise to at least nine billion by mid-century, and we're each more demanding of natural resources, and that's why there is a growing concern about the effects on climate and on biodiversity etc. So, those are issues that we need to be concerned about and they're politically challenging but they have to be tackled globally. The second class of issues is that new powerful technologies empower small groups in a way that was not possible in the past. As I put it - the global village will have its village idiots but they will now have a global range, and I'm thinking of biotech and cyber and AI, where, as we already know it's possible for a few people even an individual to have a huge cascading effect by error or by design and this is a new class of concerns we have and I think it’s a severe challenge to governance to cope with it. You have set up the Centre for the Study of Existential Risk to bring together great minds across a variety of disciplines to assess these risks, as well as the work you to do raise awareness amongst the public and policymakers. But it’s not easy to get people to care, is it? Why are people so reluctant to take these threats seriously? Firstly, you're quite right in saying that we set up a Centre because we think these extreme risks are understudied and here in Cambridge, which I would say is the number one scientific university in Europe, we really owe it to the public, I think, to spend a bit of time using our convening power to try and address these issues. Because if you can reduce the probability of these events by even one part in ten thousand we've more than earned our keep because the stakes are so high. But I think the challenge is especially severe in things like climate change because I think everyone knows that there's at least a serious threat that by the end of a century irreversible tipping points will have been crossed, and we ought to take action now to minimize that risk but the problem of course is, as you mentioned, that with these long-term threats there's no immediate sign of the threat and we can be lulled into complacency. It's not like something where you immediately see the threat, so for instance we insure our house, even though our house has only a small chance of burning down, because we are aware every day of other houses burning down, whereas when we're thinking of a disaster for the entire world then of course if you wait to observe it happening is too late, so we need to think about what might happen even when we don't have any experience of it. So, there's the problem that's it's hard to make people care about something which hasn't yet happened and which may not happen for decades and the other problem is that some of these topics, like climate change in particular, have to be handled globally and of course when politicians have a focus mainly on the short-term and the local and what will happen before the next election, to get them to focus seriously on what may happen to people in a remote part of the world thirty or fifty years from now is very very hard. And I think the only way to try to tackle the issue effectively is by public opinion. We've got to make the public concerned because politicians care about what is in the press and they care about what is in their inbox, and we've got to ensure these topics are on the agenda. That's why I think the world's religions have an important role, and I think a fine example of that was the the papal encyclical which came out in 2015 just six months before the Paris conference and that had a big effect on public opinion and on the opinion of political leaders, especially in Latin America Africa and East Asia and the Pope with his billion followers effect and whatever one thinks of the church, no one can doubt its long-term vision and its global range and its concern with the world's poor, and that's why religions can be important and drive adherents to exert political pressure that can make a difference because it's very hard to make people care about these remote long-term questions. Older PostBook of the Month: Creativity Inc.